Gustave Dore created the most popular illustrations and engravings in the history of human civilization. He reminds me of the top character actors of all time—you know their work, but you don't know their names. Gustave Dore (1832-1883) was a child prodigy from Strasbourg. When he was fifteen years old—and looked much younger—he visited Paris with his family and walked by the window of a publishing house with engravings displayed in its windows. Dore went to the publishing company alone the next day to show his sketches to the publisher, Charles Philipon, who was dazzled by them. Monsieur Philipon signed Dore to a lucrative contract on the spot. 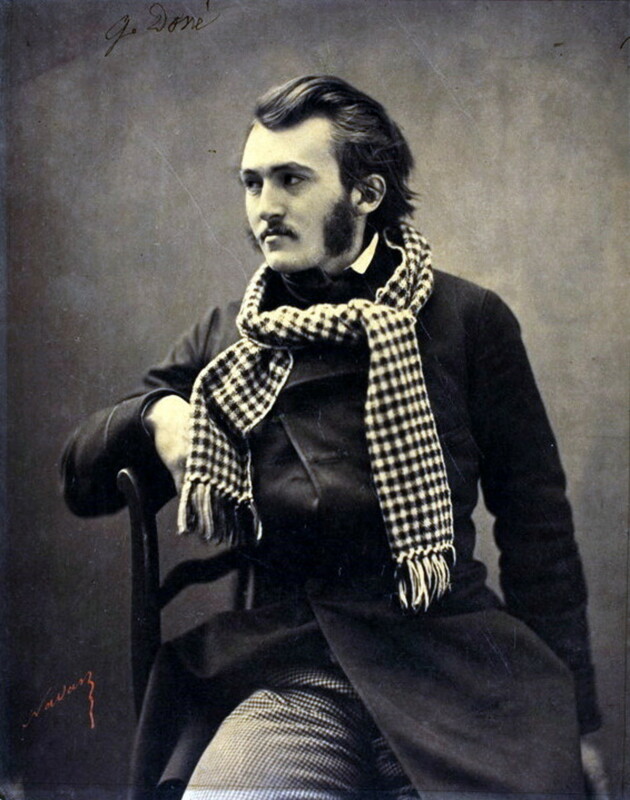 Within one year, Gustave Dore was the highest paid illustrator in France. Within twenty years he would be the most famous living artist in the world. 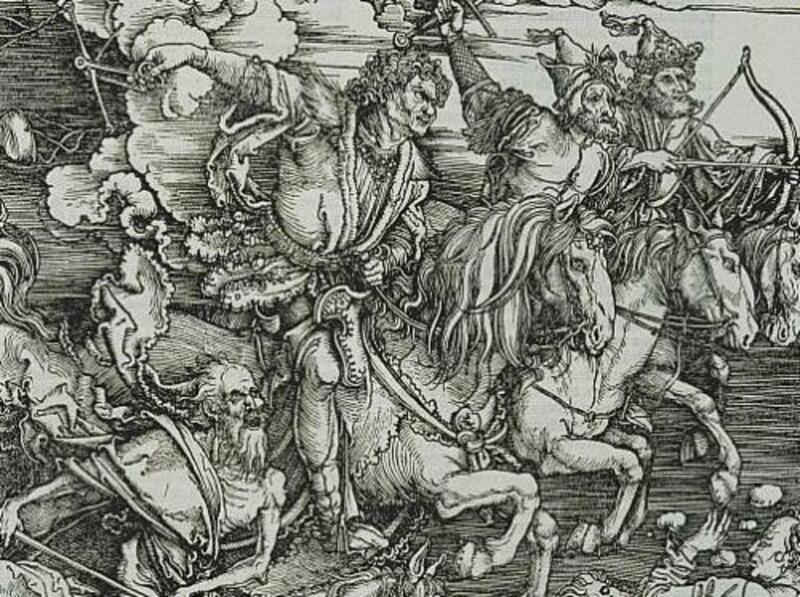 The engravings by Dore are etched into the memory of the collective subconscious of the world. Gustave Dore never had an art lesson. Yet he illustrated books by Rabelais, Balzac, Coleridge, Tennyson, Milton, Dante, Cervantes, Lord Byron, and Edgar Allan Poe. Besides illustrating books, and engraving in both wood and metal, Dore was famous as a painter and sculptor. In 1861, against everyone's advice, Gustave Dore published a giant folio of Dante's Inferno, featuring 76 full-page engravings. The finished book was priced at seven times the most expensive book ever published, but it sold like hotcakes—to the astonishment of all but Dore. There have been over 200 editions of those engravings published since. 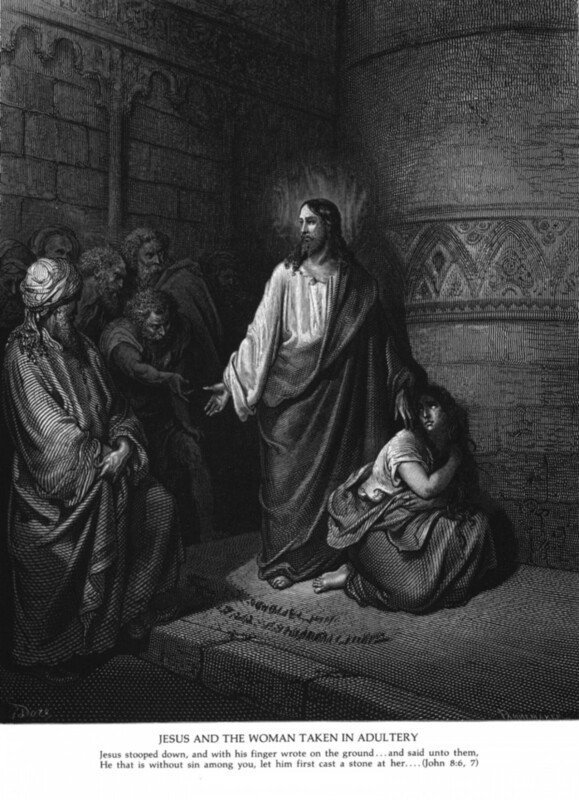 In 1866, Gustave Dore created the most popular Bible illustrations ever—238 of them. The following year the Dore Gallery began its 25 year run on Bond Street in London. 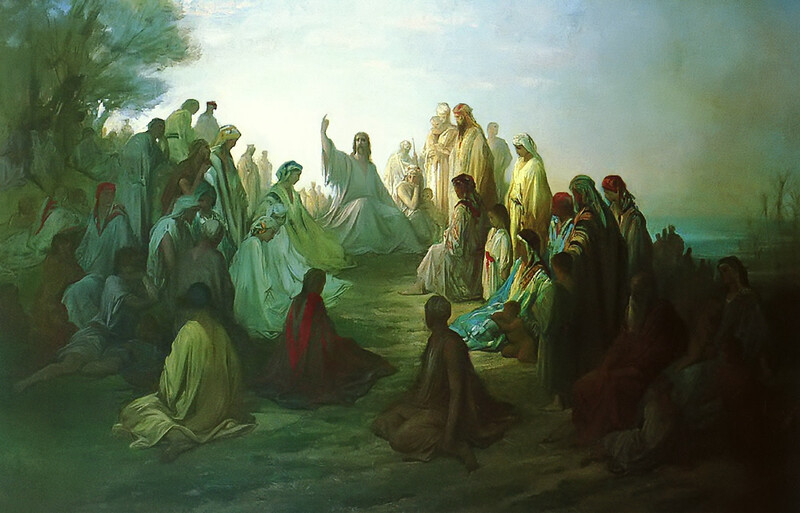 He then created the most famous set of Biblical paintings the world has ever seen. 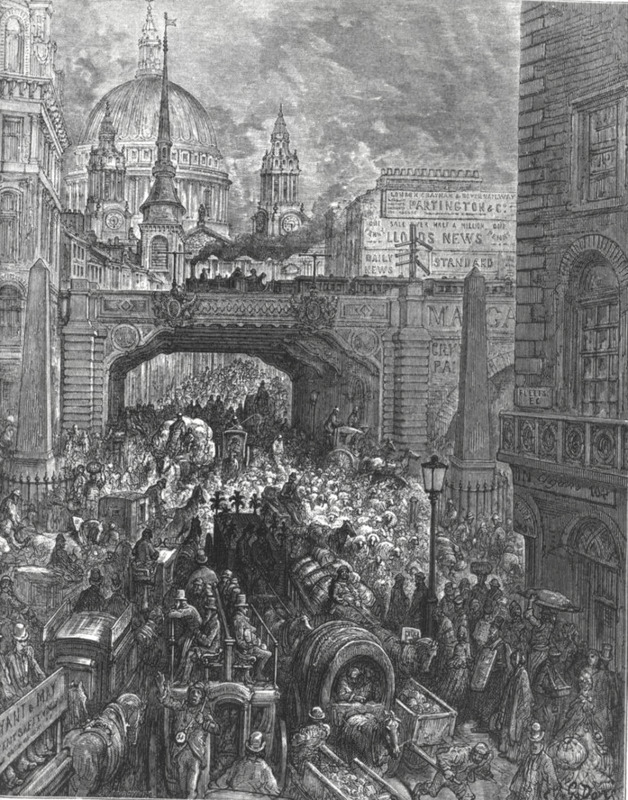 Gustave Dore published his folio masterpiece, London: A Pilgrimage, in 1872. It featured 180 engravings, the rights to which he was paid over $100,000 by Harper & Brothers of America. Dore worked five years on that project. 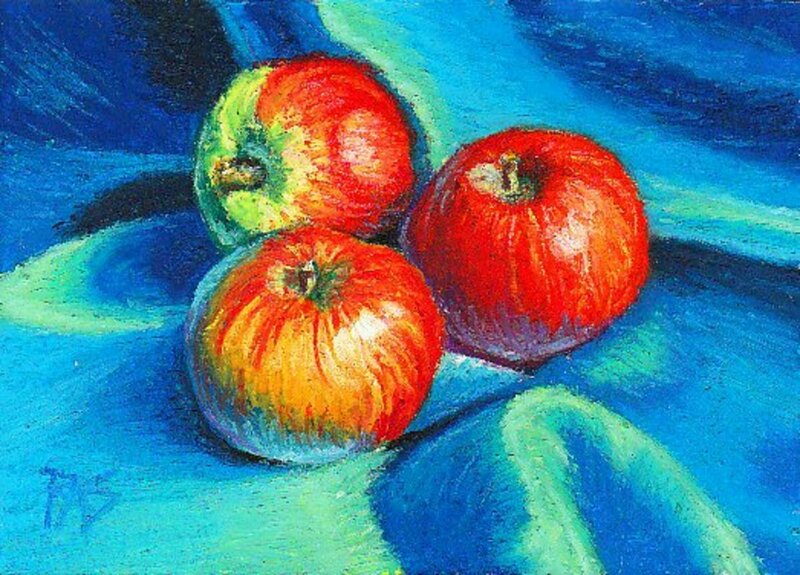 Vincent Van Gogh proclaimed this set to be his favorite artwork. In 1882, Gustave Dore was paid 30,000 francs to illustrate The Raven by Edgar Allan Poe. This was to be his final work. 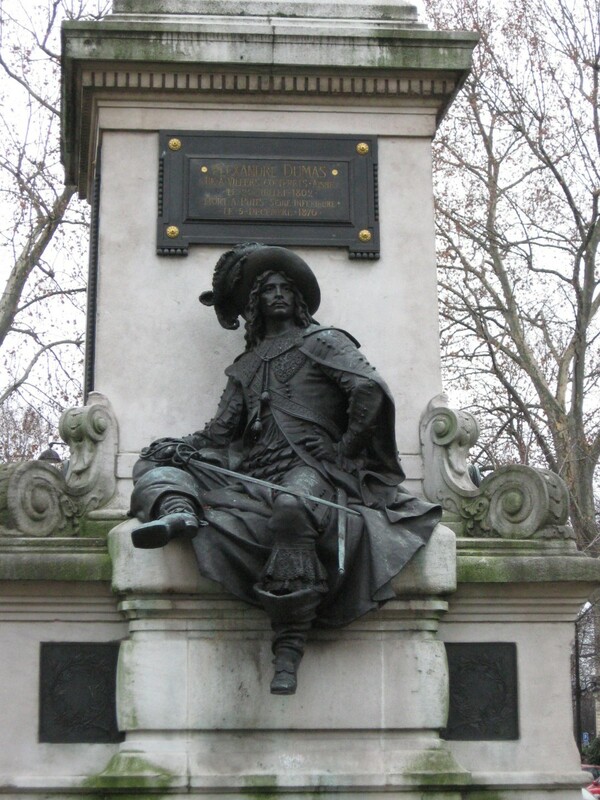 He died in Paris at age 51. In 1896, an exhibition of his paintings toured the Western World. The last stop was Chicago, where his work caused a sensation. The Gustave Dore Exhibit broke all attendance records for the Art Institute of Chicago. 1.5 million people came to see his paintings over eight months, sixteen thousand per day. The final hour of the exhibition saw 4,000 people pour in. The Art Institute had never drawn more than 600,000 people before in any year. Gustave Dore achieved the most fame during his lifetime for his over 400 oil paintings and hundreds of watercolor landscapes. But his lasting legacy is his engravings and illustrations. 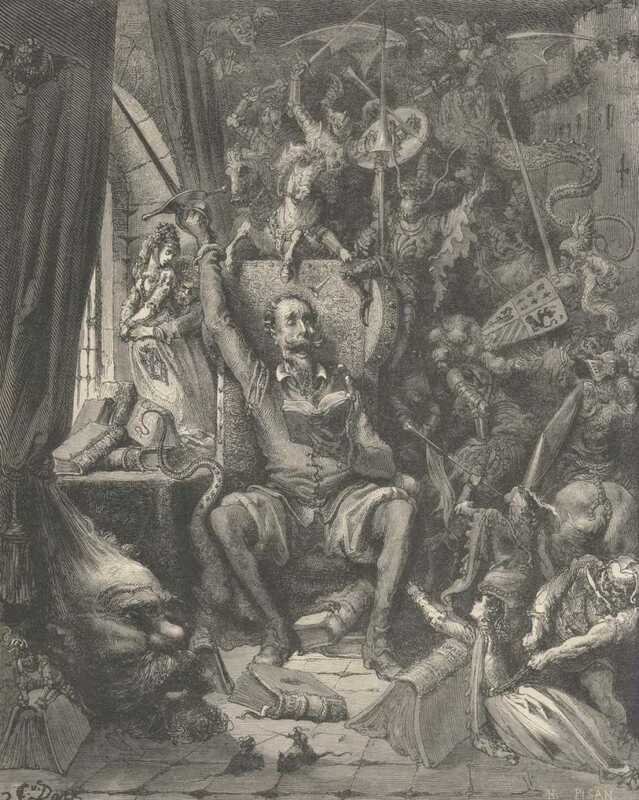 More than 4,000 published books have used the engravings of Gustave Dore. 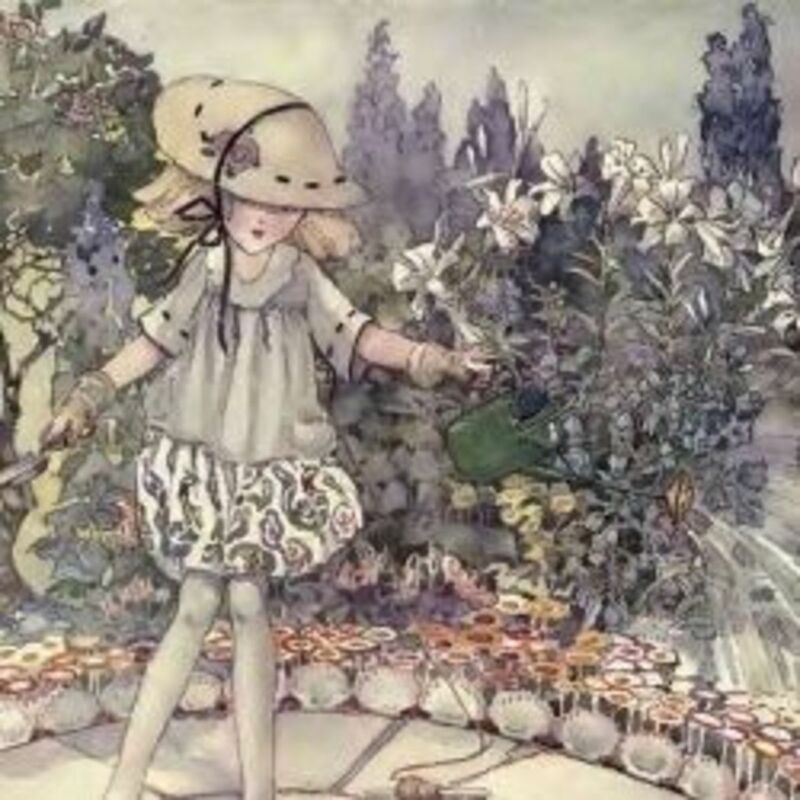 His illustrations have been used over 10,000 times in books. The engravings by Dore have also been used extensively by Hollywood, featured in such films as The Ten Commandments, King Kong, Great Expectations, and Amistad. Gustave Dore was a genius. The gallery may be viewed larger if you utilize the "slide show" feature on the opening picture. Dave McClure ~ I am glad you liked it. And yes sir, he was quite the talent. Better Yourself ~ Thank you very much for visiting and for your gracious compliments! A lot of these are familiar, but it's good to see them all presented together. Incredible talent. searchinsany--- You are quite welcome. I am really glad to see that you have come over to check out my Hub on Gustave Dore. I love his artwork! Thank you very much for the gracious and kind compliments. This is a wonderful Hub and I have learned a lot from it. I regularly include Dore's amazing illustrations in my Hubs. John Sarkis-- Thank you for the kind compliments , my friend. I appreciate the voted up and I am glad you enjoyed being introduced to this great artist. It is always a distinct pleasure to hear from you, John. I am grateful for your ongoing encouragement of my work. Great article James and the drawings are awesome. I had never heard of this individual before, so thanks for introducing him to me. Thank you so much for this hub! I devoured it--which must mean that I am feeling a little art starved--What a talented man! I appreciate the visit and your awesome accolades. The history, the art is everlasting. Absolutely magnificent! GmaGoldie— Thank you so much for the link to your blog. I am honored! I will look forward to viewing your art hub when you get it done. Let me know when you do. I'd like to see the tiny Jesus painting you inherited from your mother. Thank you ever much for visiting. I appreciate your warm words. I always love your hubs because our taste in art is very similar - someday I will have to do a hub of art in my home - just unpacked the Jesus painting - tiny one owned by my Mother. This artist is where we depart. I just linked back to you for one my blogs - even this one! sharneela ch— Hello! Welcome to my new friend from Pakistan. It is good to hear from you. I am glad you found my Hubs. 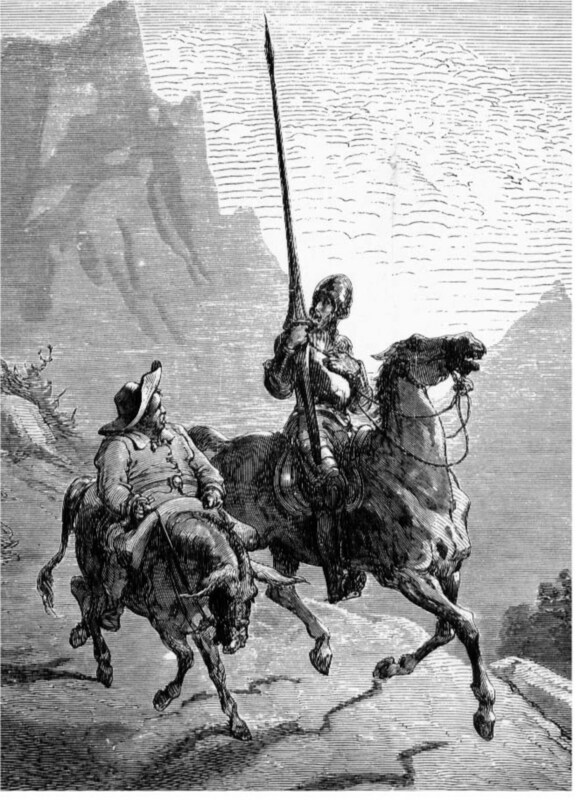 "Orlando Furioso" means "Crazy Orlando." It is a long poem written 500 years ago by an Italian. The action takes place against the background of the war between, on the one side, Charlemagne and his Christian paladins, and, on the other side, the Saracen army which is attempting to invade Europe. The poem wanders at will from Japan to the Hebrides, as well as including many fantastical and magical elements, such as a trip to the moon and an array of fantastical creatures including a gigantic sea monster called the orc and the hippogriff. Gustave Dore illustrated a later book of this epic and this scene involves a princess chained to a rock as a sacrifice to sea monster and a prince who rescues her. MrHunter— It is good to hear from you again. I am glad you appreciate this Hub. Good to see you. Thanks for visiting and commenting! I've been away, but apparently you haven't. A FB "Like" for the pacing, and appreciation for the additional posted artwork of a guy I haven't heard of. Magical thin by drugs, molding perfect woman, farewell painful yesterday. Make you more beautiful, let you gratified. DeBorrah K. Ogans— My favorite Hubber! Welcome! It is always a singular pleasure to have you visit. Thank you for the accolades about my Hub. 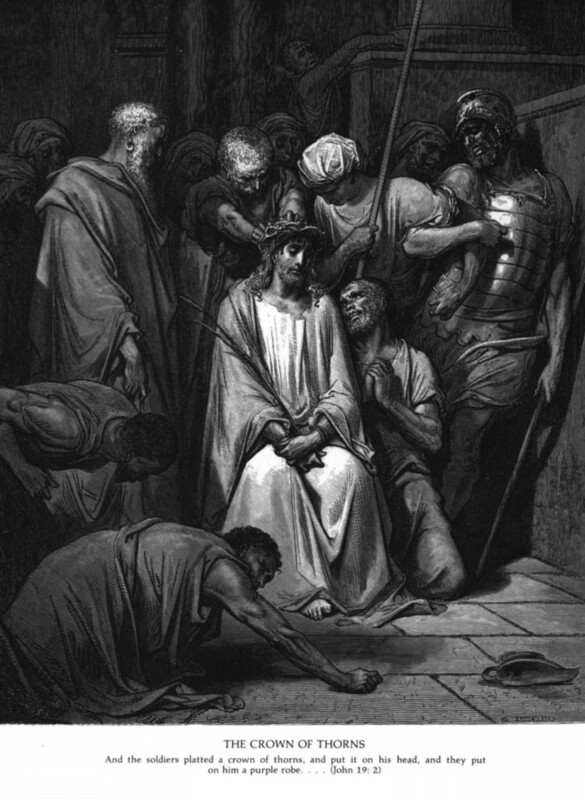 I agree with you that Gustave Dore was a brilliant, talented genius, and a man of great faith. Yes, his attention to detail is most astounding indeed. I very much appreciate your insightful, thoughtful comments. And you are quite welcome. God Bless You! nancyRi— Thank you for taking the time to review my Hub. I surely agree with your comment. Welcome to the Hub Pages Community! 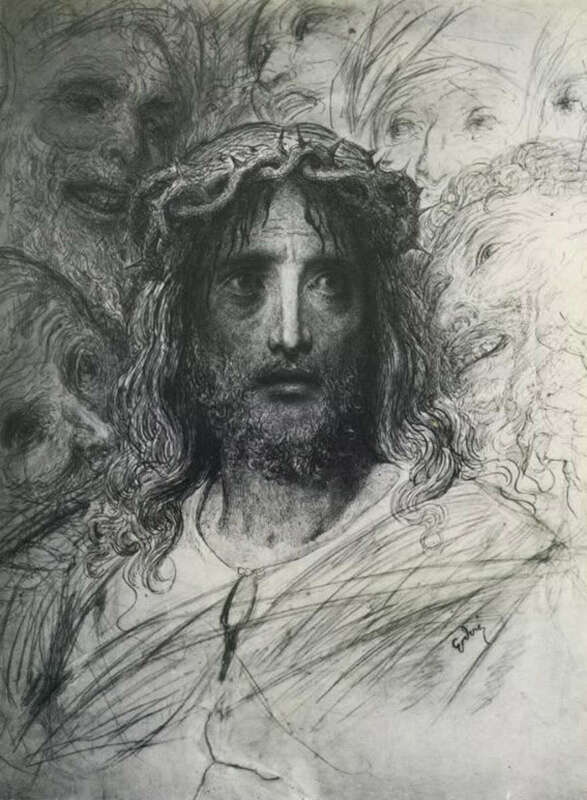 Ictodd1947— Thank you for taking the time to review my Hub about the fabulous artist Gustave Dore. I very much appreciate your laudatory remarks. I am also grateful that you offered your blessings for my book. I think I might publish two books before the year is out. I am working on four altogether. As far as Keywords go, I use freekeywords.wordtracker.com to select my keywords after my articles are written. I enjoyed your gracious comments here. Thanks again, my dear. And I will pray that God will guide your steps. What an excellent repertoire of his work you have presented! He had a spectacular flare for intricate detail and his subject matter goes the gamut! Amazing! I so enjoyed this! Thank you for sharing another noteworthy presentation. No doubt he was one of the most gifted and endowed artist to grace this earth! Wonderful lesson Professor! You certainly give us all a wonderful array of topics to enjoy! In HIS Love, Grace, Joy, Peace & Blessings! The detail in his engravings is amazing! Amazing information and you are still at it, aren't you? History at it's best. AND, just for the record, all that glitters is not gold. Actually I let myself get stuck on something that just doesn't seem to be me. Haven't fully decided but without a revelation from God????? In fact, I experienced some doubt about SUCCESS. Frozen was the word; there have been no words, no articles and a little bit of feeling sorry for myself. NOT ME AT ALL!!! I am back, I think...have learned some new ways to approach keywords and hopefully more success. I am only 5.5 months away from the 2 year mark myself and the initial 16 months of writing saved my life and kept me busy after moving to the Country to live full time. Had to adjust to not being productive and busy and the writing helped me do that. BUT, I am also a chance taker, a thinker and a person who believes that it is always a possibility for anything we choose to do and have to explore new ways to make things work. You have been successful here and as I have mentioned before, the very first person to comment on my hubs...we always appreciate encouragement from others. You are great at it. Thanks and keep up the good work..Oh, and I pray God to bless your Book. Your Christian articles are always excellent. no body— I'm glad you thought so, and I am gratified that you enjoyed this Hub. No doubt, Gustave Dore was unusually gifted. Thanks Bob for coming by and leaving the good words. Amazing story. God is so good to grant such talents to to people. I was so enthralled with the art from someone so young. Great hub Jim. 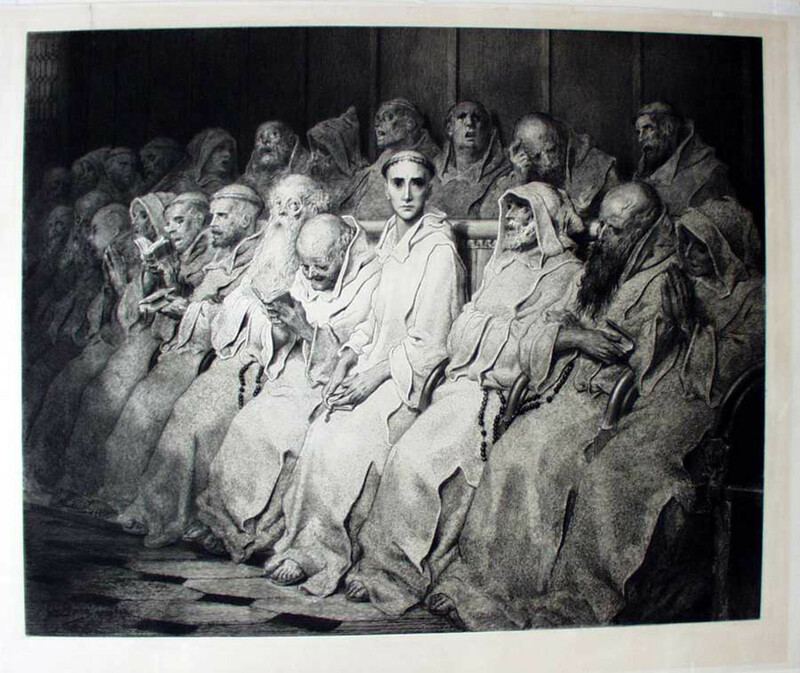 Kaie Arwen— I surely agree with you that the engravings by Gustave Dore are without equal. And yes, he had an uncanny ability to detail what he saw in his mind's eye. I actually hadn't seen "Maidens" until I did the research for this Hub. I was surprised at what a talented sculptor he is. I believe Gustave did do "The Prodigal Son." I'll have to look at that again. I think Rembrandt's version is the best of all time. "Neophyte" you described so well with a single word: "haunting." It is that. James- Gustave's engravings are without equal. They are mesmerizing........... his ability to detail how he saw things in such intricate detail will never cease to amaze me. DjBryle— You are very welcome. I am well pleased that you found this Hub to be interesting and insightful. Thank you for saying so. I appreciate the visit. Wow! All these times, I thought these pieces of arts are made by a professional artist. It is very amazing to know that he was born with such a load of talents. Thanks for sharing another very interesting and insightful hub, James. Your hub made my new year start with a bang of very refreshing and amusing information. The way you presented things is very engaging so that I really had to stop eating (even if my tummy is rumbling... lol!) to read your hub. andromida— Good of you to come. You are welcome. Yes, some people are quite gifted. Thank you for your comments. Stessily— Thank you for your kind comments. I appreciate the information about the death of Gustave Dore. I am grateful you visited mt Hub. I remember losing myself as a child in Gustave Dore's illustrations in many books in my father's library. "Il meurt d'une crise cardiaque à 51 ans, le 23 janvier 1883. . ."
Your appreciation of art and your ability to share that appreciation are greatly appreciated! J Burgraff— Hey! It is a pleasure to see you again. I see you have a new Hub out. I'll be by to read it soon. Thank you for letting me know you are back in business. I have been off hub pages for almost a year and my first inclination was to check in and see what you have been up to. And you have been up to good. 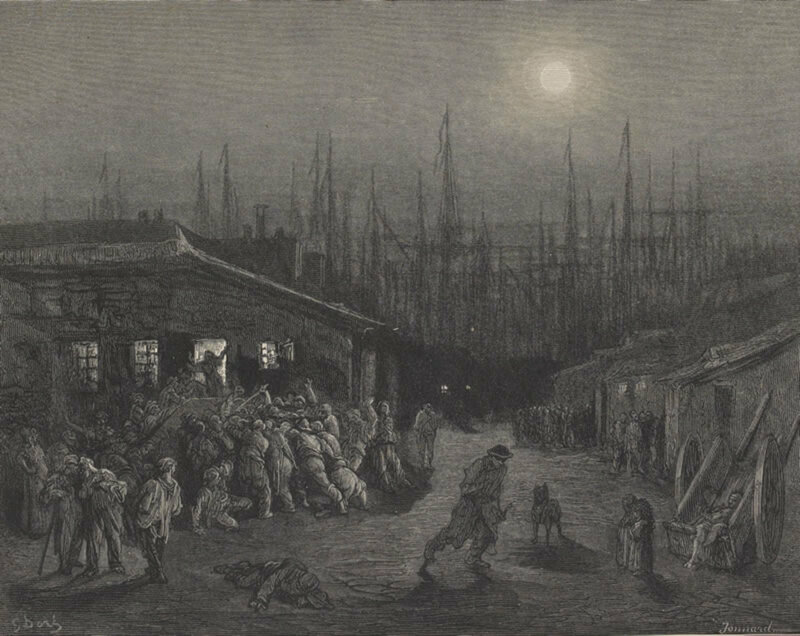 Love this article on Gustave Dore. It's nice to read an article by someone who clearly is completely into what he's telling us about. Thanks! GPAGE!! I am right tickled at your reaction, Miss G. Amazing talent indeed! I too am blown away by the intricate details in his engravings. This looks like a gift that Gustave Dore was definitely born with. Never had a lesson! I love the choices you made. Of course, you have exquisite taste! Thank you for your lovely words. And you are most welcome. Exquisite - the writing and the paintings. bugslady8949— I sincerely appreciate your kind compliments. Thank you for coming by to visit. Welcome to the Hub Pages Community! ChristineVianello— Yes indeed! Thank you for saying so. Welcome to the Hub Pages Community! Very interesting hub, it amazes me as to all of the creative talents from that era. Such detailing in their works. Masters indeed.Very different from artists of today. Your assessment of Dore is spot on. Great illustrator. Good hub outlining Dore's life. I think you did a great hub on Dore and I to am a fan of his work. keep up the good work. Excellent hub which features an excellent talent. 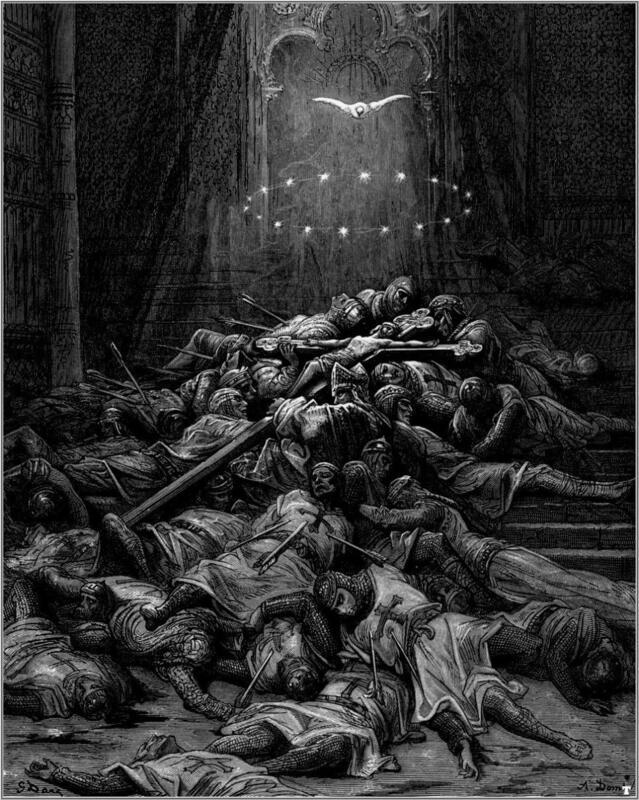 No doubt about it Gustave Dore is indeed a genius in the field of art. Thank you for sharing this great wealth of information about him. I enjoyed the read. Remain blessed always. Regards. Les Trois Chenes— You are most welcome. It was my pleasure to finally write about, and display a gallery of the magnificent works by Gustave Dore. I had thought about this for a long time before I finally pulled the trigger. James, what a fascinating hub! Would you believe that it was just weeks ago while sourcing a painting to illustrate one of my hubs ( every word tells a story) I came across Gustav Dore"s work and recognised that I have seen many but haven't attributed to him. The engraving I used was from his collection of the Crusades- Edward 1 killing an assassin! The energy and the detail wre stunning. I made a note to look upnhis other work and hey presto, you've saveD me a job. Voted up and awesome! 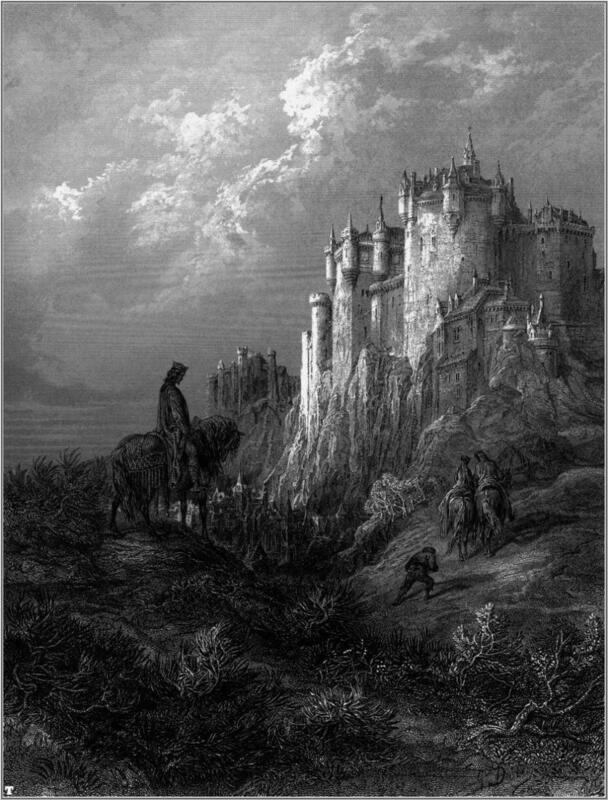 The name Gustav Dore certainly rings a bell, but I wouldn't have been able to name a painting. Many thanks for this nice hub. Very nice Hub James! Beautiful pics. Informative piece.. Thank you! JodiVee— You are quite welcome. Glad you enjoyed it. Thanks for coming! Welcome to the Hub Pages Community. Joshua Kell— You're welcome, friend. I'm glad you enjoyed this gallery and article. Thank you for coming by. I appreciate your kind comments. I've seen a few of these pictures before. They're all absolutely stunning. Thanks for a great hub. Amazing. What great minds (yours and Gustav's). Thanks, this was a very interesting read. I had heard of him, and seen some of his work, of course, but I had no idea he was such a brilliant and maven artist. msorensson— You are welcome! I surely agree with your assessment of the art of Gustave Dore. Thanks for coming! Prasetio30— You are welcome, my friend. Yes, Gustave Dore is a truly great artist. I am glad you loved this gallery and that you expressed your appreciation of my Hub. Thank you for the vote, blessings, and hugs. I am always happy to hear from you. RosWebbART— You are welcome. 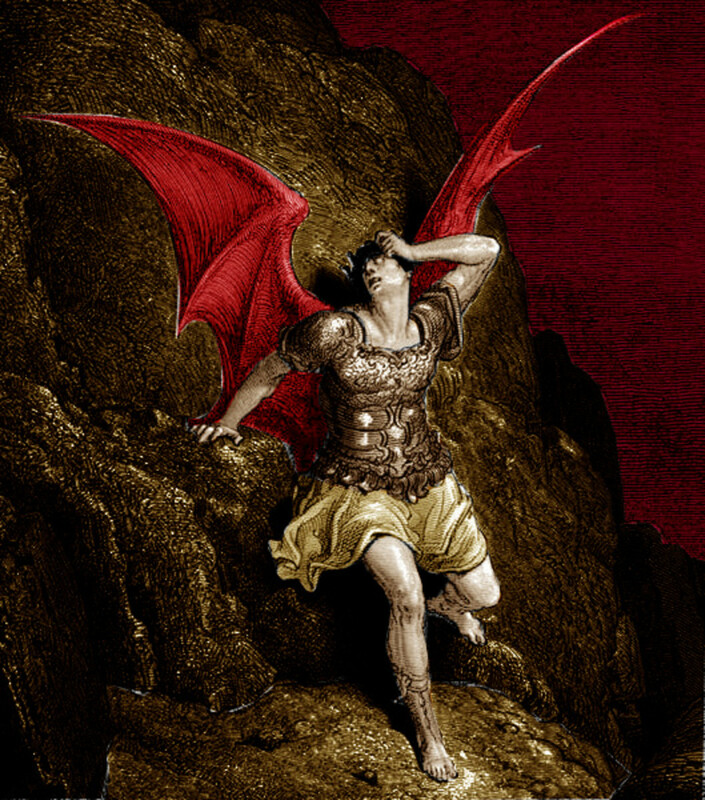 It is my pleasure to have published this gallery featuring the art of Gustave Dore. A labor of love. Thank you for visiting and commenting. AWESOME...His work is exquisite..Thank you!! katiem2— Thank you for your kind compliments regarding this Hub, Katie. I appreciate your Best Wishes for my book. I am about to knuckle down and get 'er done. It is always a pleasure to read your comments. Dore's work is amazing , thank you for drawing my attention to him. I have a book (paperback) of Dore's illustrations of Dante, and I love it. Therefore, I was particularly interested in your hub. The man was so talented! Thanks for sharing. 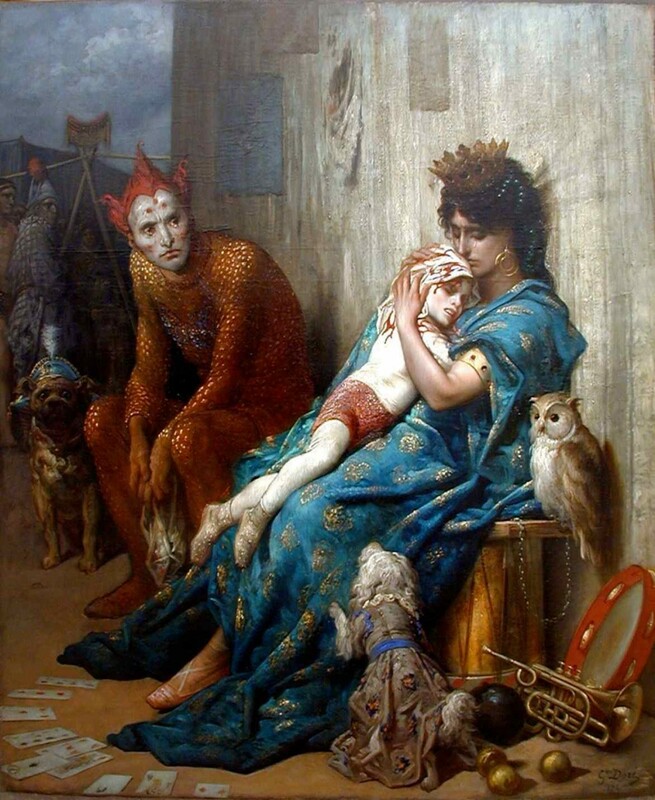 What an amazing artist Gustave Dore, with never that first art lesson or example other than the natural gift within. An amazing artist indeed and very fitting tribute and collection of achomplishments! P.S. Best Wishes and Much Success to you on your book! Amber Allen— Hello Amber! I am well pleased that you enjoyed this Hub. Thank you for coming. I appreciate your comments, especially the explication of those second chimneys. You are one smart cookie. I had no idea what those were. I am going to publish one more Hub and then I am taking a break from HubPages to finish my book. Thanks for asking. So enjoyed viewing all the wonderful Art. Such talent! 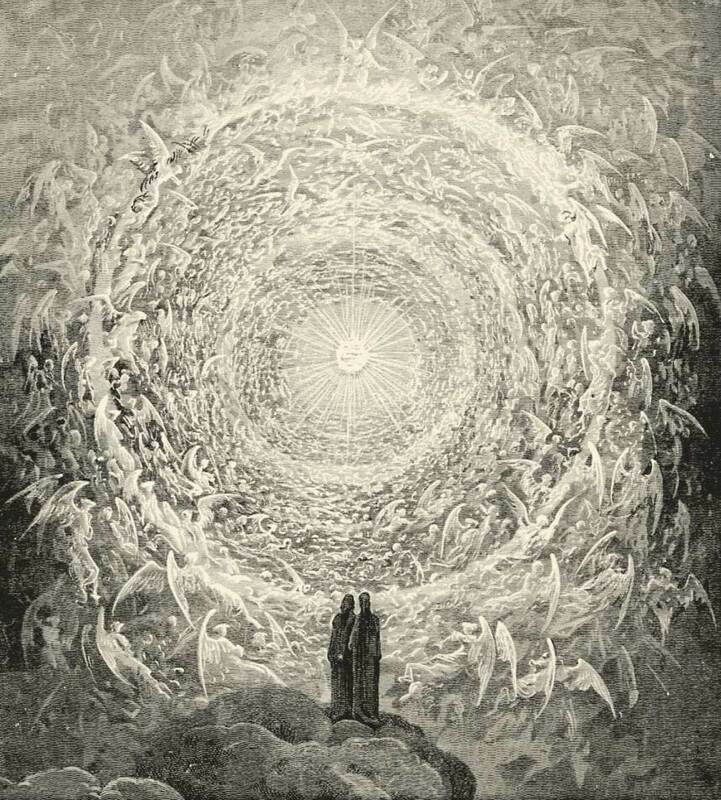 thougtforce— I am glad you enjoyed this Hub about Gustave Dore. I too am amazed by the little details one sees if we slowly take the time to really look closely at these master works of art. Thank you for visiting and commenting. I do appreciate it. LuisEGonzalez— I appreciate the recognition. Welcome to the Hub Pages Community! I'll be over to see your work soon. shynsly— You are welcome! Thank you very much for your comments. I am well pleased that you liked this gallery. Thank you for expressing your appreciation of this Hub. And you are most welcome. Talented indeed. It is just amazing what some people come into the world with and then others seem to struggle at! Well presented, James, as always. I do love reading your hubs about Art and this one is no exception. 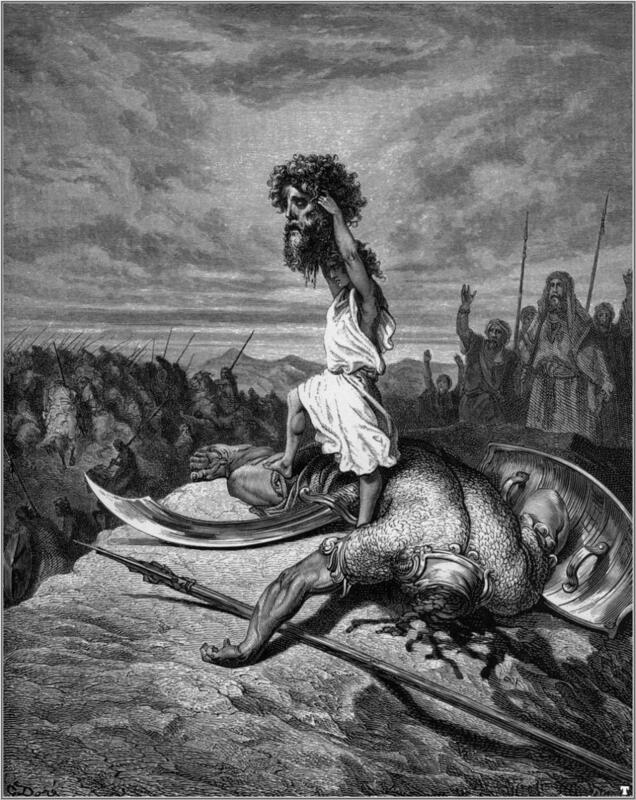 I had no idea that Dore was the artist of so many of my favorite Biblical illustrations. One of your commenters CASE1WORKER asked what the second chimneys were for at the back of the houses. 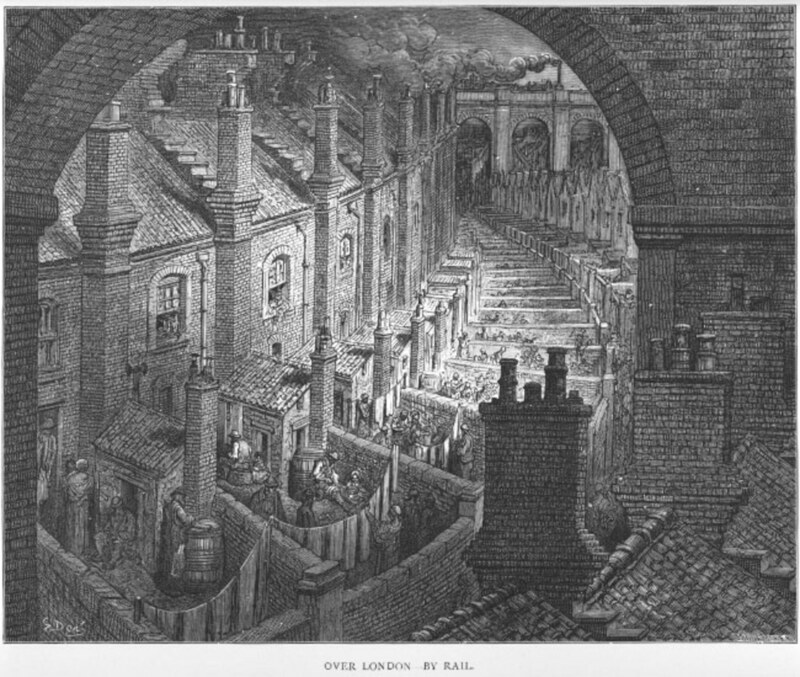 The outhouses at the back of these houses would have contained the 'copper' water heater / boiler and it was how hot water in larger quantities was obtained. Some simply have the talent within them, amazing... I have seen illustration by Dore, and I was amazed over the many details! You have made an excellent hub, I enjoyed reading, and also liked the great photos! christ4ever— Thank you for your blessings and the compliment, Rev. Ted. 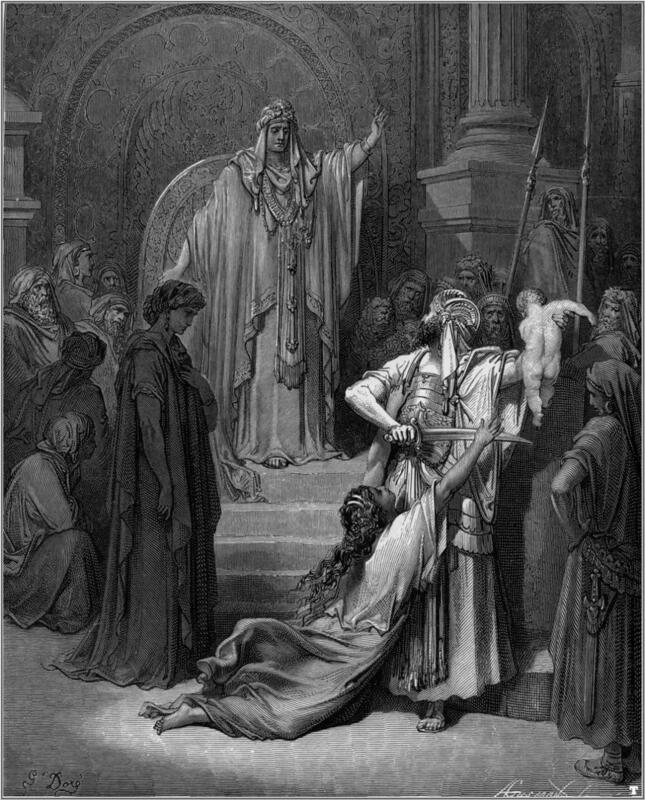 Gustave Dore is the master of Biblical illustration in my book. It was not easy to select these particular works out of his enormous catalog. I agree with your comments. Good of you to come by! GusTheRedneck— You are welcome, Gus. I am always pleased to receive your remarks. 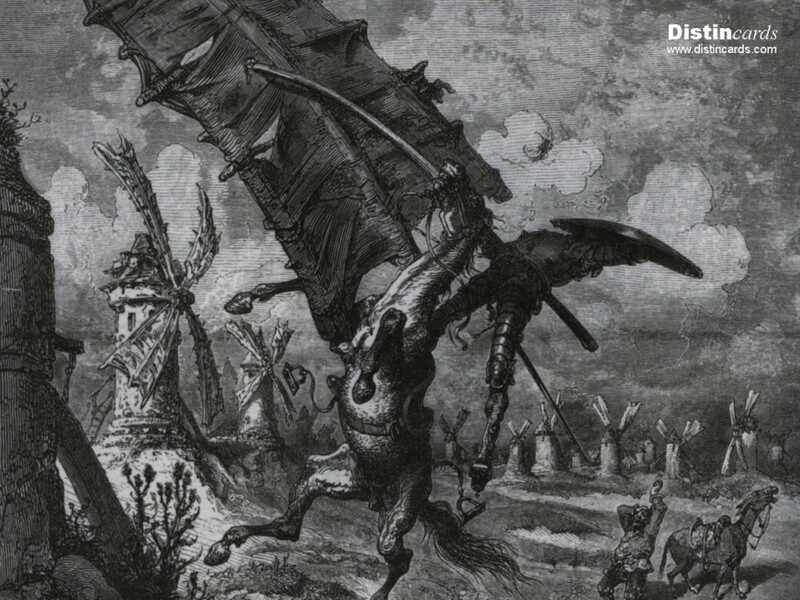 His work on Don Quixote set the standard for representations of those characters. Thanks for the accolades brother! satomko— I adore his woodcuts! And as you say his Dante's Divine Comedy IS amazing indeed. Thank you for the affirmation. And you are welcome. Great artist. sherrylou57— You are quite welcome. I appreciate the visit and your comments. God Bless You! samsons1— Good to see you, my friend. Thank you for the voted up and beautiful! I sincerely appreciate your complimentary comments. 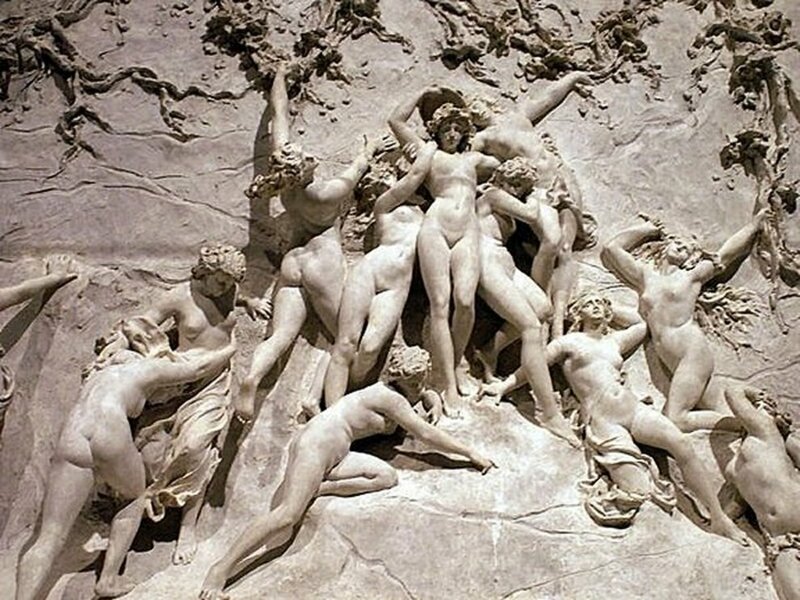 I have admired many of Dore's illustrations and sculptures for years without realty knowing who he was. Thanks, James, for educating me re his amazing talents. Beautiful job - research and illustrations. Shows you have done your research, very entertaining! Fascinating hub with beautiful illustration... thank you! 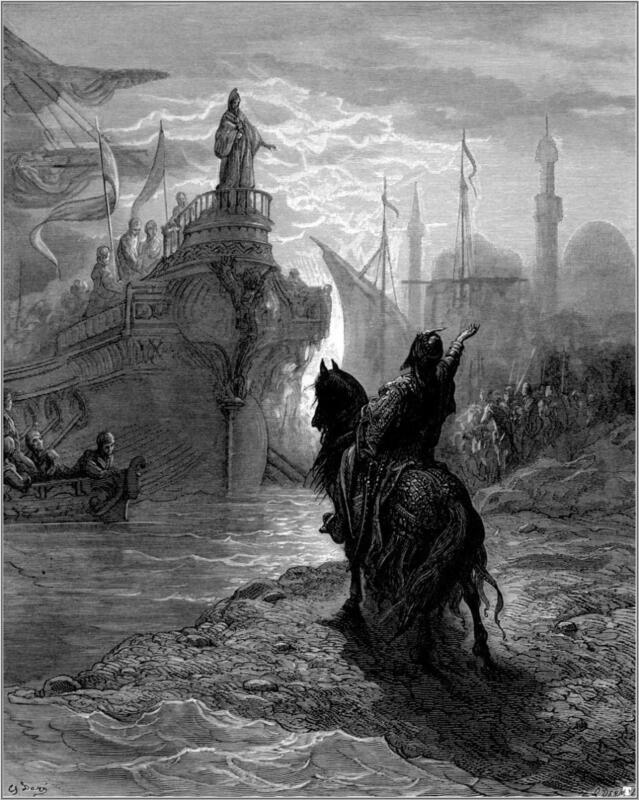 Rhonda Waits— I too am in awe of the terrific talents of Gustave Dore. I am glad you came by to visit. Thank you for your kind comments.